A few years earlier I had eagerly awaited, like so many other devotees of Australian poetry, the publication of Brady’s historic South of My Days: A Biography of Judith Wright. I have long admired this scrupulously researched and beautifully written, five hundred-page recount of the life of a generous and inspirational ‘giant who lived amongst pygmies’. Twelve months after Brady’s book we had Wright’s autobiography, Half a Lifetime, edited by Patricia Clarke. And a decade further on we would receive Fiona Capp’s lushly evocative My Blood’s Country: A Journey through the Landscapes that Inspired Judith Wright’s Poetry. 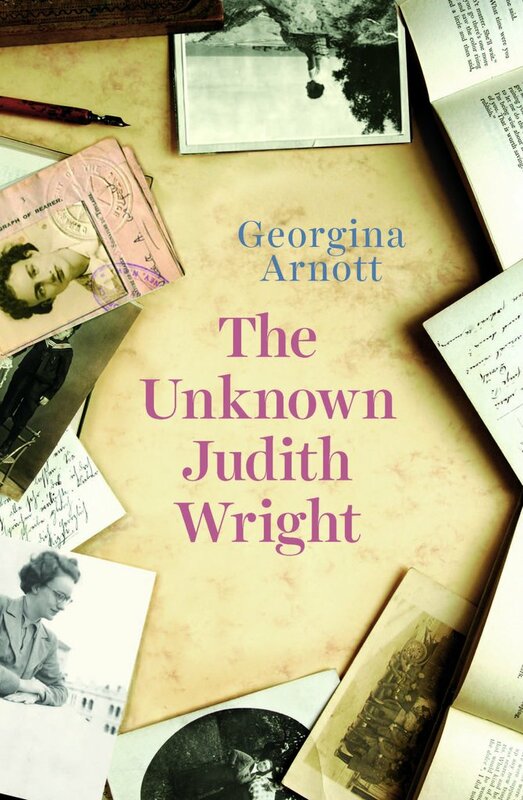 So in 2015 when I heard about a new Wright biography I was excited, but also suspicious of the hype suggested in the proposed title: The Unknown Judith Wright. Georgina Arnott, however, is an exemplar historian. She not only delivers on the book’s marketing buildup, but judicially positions her own text not as replacement but as essential companion to the biographies that have come before. Judith’s life story offers particular intrigue because it suggests that conservative and conventional upbringings can sometimes produce the most radical of thinkers. This book might add that, by extension, in some cases at least, even the most radical thinkers do not necessarily ‘shed’ the conservative traces of their heritage. [Wright’s] life story reveals much about colonial race relations; the gulf between expectation and reality experienced by early European migrants; early attempts to develop a distinctly rural politics; the difficulties faced by women on isolated properties; and historical relations between the city and the country. The final five chapters, which centre on Judith’s time at the University of Sydney between 1934 and 1936, and the work she produced there, tell of the class and gender distinctions embedded in Australian tertiary education; of the birth of modern Australian cities; the rapid social transformation which took place in 1930s Sydney; the liberties this transformation afforded to young women; the origins of Australian historiography; and most forcefully, the birth of modern Australian poetry – a birth largely brought about by this woman. Arnott reveals that the Wright forebears were more involved in the act of dispossession – and of First Nations massacre – than Judith Wright implies in Generations of Men (1959). She also shows how Wright tries to make amends for this by writing Cry for the Dead (1981), but while this book does not shy away from the horrors of colonialism, it still does not forensically examine her family’s role in these events. Wright continues to influence the approach taken by biographers like Brady in retelling this family history by perpetuating the mythology that the Wrights won their prosperity against the odds by hard work. Wright also continues to portray her forebears as ‘moderate, careful and cautious’, especially in their relations with First Nations; but, writes Arnott, this portrayal defies the evidence. worked to imply an innate, emotional and sexual connection between a woman’s body and the natural landscape. This alone was not new; what was distinctive was the bold assertion of a woman’s active subjectivity. These female bodies were not made purely receptive by comparisons with the land; they became alive, yearning, and even spoke their wishes. The poems of that first collection asserted a taboo subject: female desire. This entry was posted in BOOK REVIEWS and tagged judith wright, Katie Noonan, Phillip Hall. Bookmark the permalink.